Case Study W Park St Stockton: Independent to Assisted Living, I Need to Sell My Stockton House Fast. Father time does not discriminate against anyone and there is no magic number when it becomes necessary to move into assisted living. Not every one is lucky enough to move in with family and in some cases it is just not practical depending on the type of care that is needed. I also know that in most cases the transition is over a long period of time and there are many other little things that we lose the ability to do that restrict our ability to live independently. This was the case with W Park St. There is nothing more traumatic for a homeowner that can no longer live alone than to have to sell their house in order to make the transition from independent to assisted living. This was the case for the Betty. 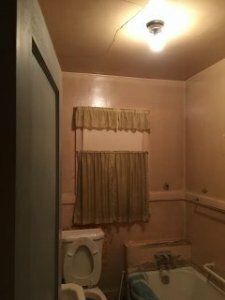 She had to sell the house that she had lived in since she was 14 years old. Betty had many concerns but only two that mattered that day that I got called. 1) she needed to sell her Stockton home fast or lose it to Medicare. 2) She was concerned that her 28 year old Japanese Fire Bellied Newt would go homeless. As for the first concern… she was at a cross roads, and transition that was not easy and a decision that was forced by Medicare. Either sell the house prior to moving into assisted living or the state would seize the asset. Her concern was that she was running out of time and the clock was ticking. She needed to provide proof that the house was sold and had a 4 day deadline. I assured her that I would contact Medicare and meet the deadline with the assistance of the Title Company. She did not want to lose the only asset that she had remaining as it was going to need to sustain her for the rest of her life. She had lived in the house for so many years that she knew everything that was wrong with it. The house had not been updated in over 40 years and that was just fine with her. According to her, she was blessed and never had a lot of money but she lived in her parents house and when they passed she gladly inherited it and moved back in. As she talked to me it became clear that the past 10 years had been particularly difficult for her since the passing of her husband. In that time she was forced to deal with only the important maintenance issues that arose and if they were too costly she postponed them as well. She told me that the plumbing in the back bathroom in the master bedroom that had been added on 35 years ago was no longer working and so she just closed the door. Her main concern was the amount that she would receive for the house. She told me that she had talked to three real estate agents and they all told her that the house would need to have a lot of work done if she wanted to sell it, especially for the amount that she was looking for. Now keep in mind she thought they were right because she had heard it from all three of the real estate agencies. One had even gotten out a contractor to go through with her the cost of repairs would be totaling $65,000.00. She was scared and somewhat defeated. I explained to her that I was not a real estate agent that I wanted to BUY her house. I explained that I was a Local Cash Home Buyer and that Real estate Agents don’t understand what I do at all. I explained that in their world the Pretty House is valuable and worth their time and effort. In my world the Ugly house is how I make a living and I assured her that by the time I was done doing my analysis that I could present her with numbers that made sense for both of us. She told me that she had wished she had called me first. It was apparent that most of the the maintenance of this 92 year old house had been deferred for many years. The roof had 3 layers of shingles on top of the old wooden shake roof that appeared to be the first. There were major cracks in the ceilings and walls at all transition points and water barely came out of any faucets. The house did need a lot of work, but I explained that I could make her an all cash offer for what she thought the house was worth. We negotiated an all cash purchase that would allow her to walk away without and further liability and to close within one week of our agreement. In order to do that we needed to get the title company to act quickly and repair any existing title issues. 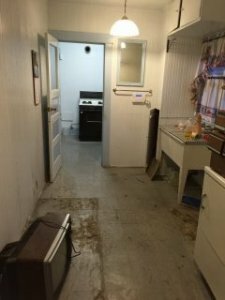 We purchased the property from the owner with the intention of fixing and updating the existing structure and also adding another bedroom and bath. The house lacked curb appeal and our challenges we numerous if we were going to be successful in this project. As for concern number 2. We adopted her Japanese Fire Bellied Newt and it lives in our house as part of our family now. It is a great conversation piece and while I don’t rescue all animals from houses that I have purchased I have been known to take in box turtles, red-eared slider turtles, and a catfish on occasion. Having a team in place ready to act quickly is always a challenge. Knowing who to call, what hoops to jump through and prioritizing the details and timelines should not be left to anyone that is not seasoned or committed to the outcome. As is common with many of the Stockton House issues that I encounter this house purchase required a committed daily management of the details until the sale closed and at a level that the homeowner is usually not capable of. That is where I come in. My name is Peter Westbrook and I am a local Real Estate Investor in Stockton, Sacramento, Modesto and Manteca CA. 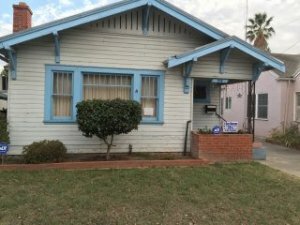 We buy houses in Stockton in any condition and we pay fair market value minus the required repairs. I have a team of professionals from Title Company, real estate inspectors, Appraisers and contractors that I work with that are committed to the deadlines I create. We are the best at what we do because we know that no two real estate transactions are a like and we are committed to unraveling the puzzles and solving the problems. Many homeowners are astonished how easy we make it look. I am proud of that reputation and just tell them it is what we do for a living. 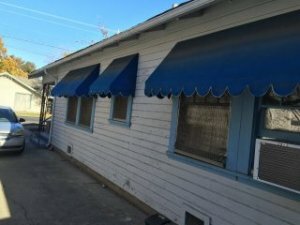 We worked with the homeowner and Medicaid to establish a contact and line of communication so that we knew without a doubt what they needed to stop the action against the homeowner to save her Stockton house. Once the homeowner and I agreed on the terms and the sales price we entered into an agreement for the purchase of the house and we placed it in Escrow at Chicago Title Company. That initial action stopped Medicaid in its tracks. Chicago Title Company then ordered the Preliminary Title Report and pushed it through as a priority and we received it back in less than 2 days. The title company found some title issues that needed correcting from when the homeowner had initially inherited and taken title to the house from her mother. They created necessary affidavits for the homeowner in a matter of hours and we beat the Medicaid deadline by 48 hours. Since the writing of this article Betty has passed away. I was happy that I could help her and I think about her when we feed that Japanese Fire Bellied Newt that we adopted.